Despite all the hustle-bustle of Goa, Galgibaga beach has maintained it’s pristine beauty over the years. Crystal clear water, silver glistening sand and coconut trees sprinkled all around are going to cast a charm on you. What's So Special About This Beach? 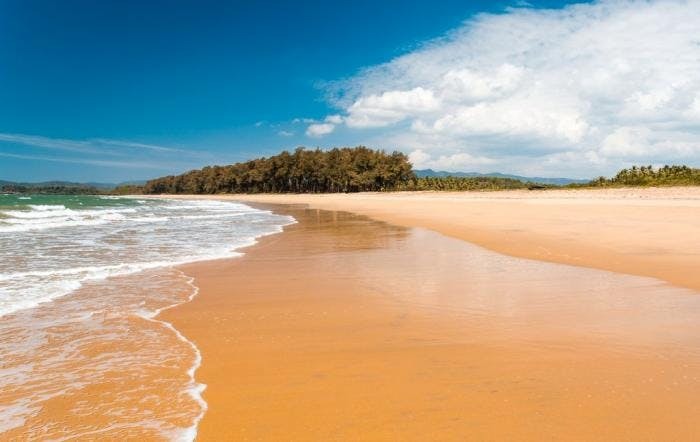 Well, with a protected turtle nesting site and limited visitors, this is a beach for anyone whose looking to escape Goa madness and enjoy the tranquility instead. Well maintained by the authorities, they also have a lifeguard on duty for any emergency. Secluded and quiet, take your family here for a memorable day and some much needed bonding. If you’re travelling alone or with friends, this is a perfect spot for a spontaneous picnic or to catch up on your vacation reading list. As the beach is an isolated one and the food options are limited one family run restaurant, it is advisable that you carry water and food.